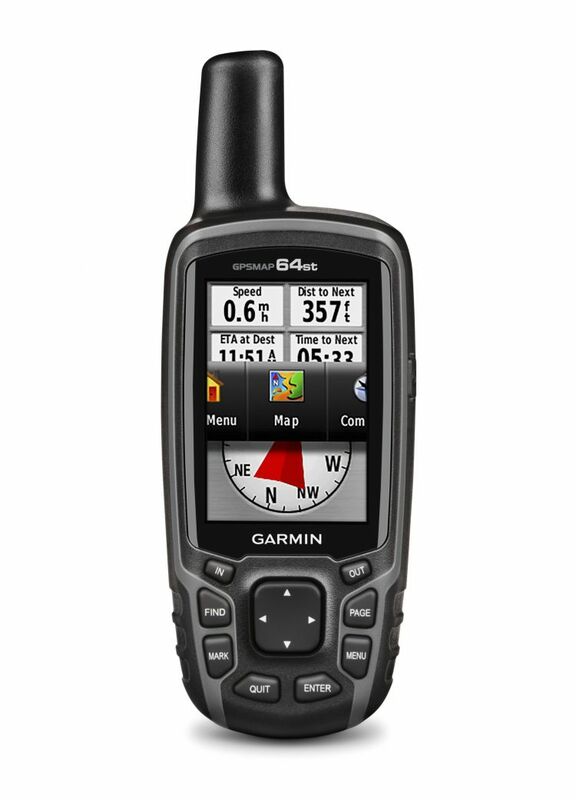 GPSMAP 64st features a 2.6” sunlight-readable color screen and a high-sensitivity GPS and GLONASS receiver with a quad helix antenna for superior reception. GPSMAP 64st includes a 3-axis electronic compass with barometric altimeter, wireless connectivity, and preloaded TOPO Canada maps plus a 1-year BirdsEye Satellite Imagery subscription. GPSMAP 64st comes with a worldwide basemap with shaded relief and is preloaded with TOPO Canada. Plus it includes a 1-year BirdsEye Satellite Imagery subscription — all the tools for serious climbing or hiking. Map detail includes national, state and local parks and forests, along with terrain contours, elevation information, trails, rivers, lakes and points of interest. Share your waypoints, tracks, routes and geocaches wirelessly with other compatible devices. Your friends can enjoy your favorite hike or cache without waiting for you to plug in to your computer — simply press “send” to transfer your information via ANT+ or your Bluetooth Smart Ready phone¹. GPSMAP 64st comes with a built-in worldwide basemap with shaded relief, preloaded TOPO Canada and a 1-year subscription of BirdsEye Satellite Imagery for a photo-realistic view. Adding more maps is easy with our array of detailed topographic, marine and road maps. With 8 GB of onboard memory and microSD™ card slot, you can conveniently download TOPO 24K maps and hit the trail, plug in BlueChart® g2 preloaded cards for a great day on the water or City Navigator NT® map data for turn-by-turn routing on roads (see maps tab for compatibility). In addition, the 64st is compatible with Garmin Custom Maps, free software that transforms paper and electronic maps into downloadable maps for your device. GPSMAP 64st supports paperless geocaching with 250,000 preloaded caches with hints and descriptions from Geocaching.com², and has a 16-hour rechargeable NiMH battery. By going paperless, you're not only helping the environment, but also improving efficiency. GPSMAP 64st stores and displays key information, including location, terrain, difficulty, hints and descriptions, which means there’s no more manually entering coordinates and paper printouts! Slim and lightweight, 64st is the perfect companion for all your outdoor pursuits.